The NSW Arts and Cultural Policy Framework contributes to the Government’s State Priority to increase attendance at cultural venues and events in NSW by 15% by 2019. Arts and culture uniquely position Sydney as a creative global city and the gateway to our regions. Create in NSW outlines the NSW Government’s 10-year strategic policy framework. It focuses on increased access for audiences, organisational strength, and artistic and business excellence across NSW, with an emphasis on regional NSW, Western Sydney and metropolitan Sydney. Increasing the attendance at arts and cultural venues and events by 15% will have flow-on benefits for job creation, the visitor economy and education. Through an evidence-based and outcomes approach we are growing the understanding of the value of arts and culture to competitively position our State to help attract investment, skilled talent and visitors, as well as help build liveable communities and enhance individual well-being. 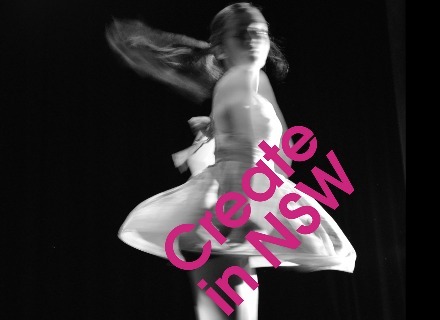 Following sector and community consultation, the NSW Government launched Create in NSW: NSW Arts and Cultural Policy Framework in February 2015. Create in NSW is a platform for our arts and cultural sector, our communities and our business and government partners to collaboratively shape our cultural future. It supports vibrant arts and cultural activity across our State. Built on three mutually reinforcing ambitions – excellence, access and strength – Create in NSW will guide future strategy, investment and partnerships to grow a thriving, globally connected arts and cultural sector with and for the people of NSW. Create NSW has a strategic leadership role in implementing the policy framework and ongoing engagement with the sector. The Highlights Report 2015-2016, captures the achievements during year one of Create in NSW and is available for download below. To be kept in the loop with the latest updates, please subscribe to the Create NSW eNews here.